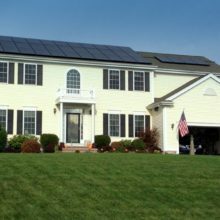 Newport Solar is a family owned and operated, full-service solar company. adding over 2,000 kW (> 2 Megawatts!) of solar capacity in our state. 2019 REF Grants available now! 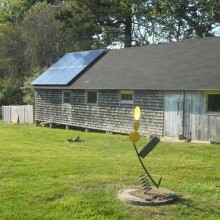 Take advantage of this Exclusive RI Solar Program. We have the experience and we're ready to work with you quickly. 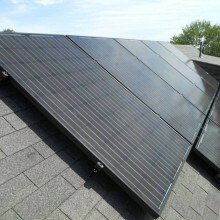 to install a high quality, efficient and attractive solar array on their home. Go Green, save money, pro install, state & federal rebates and a great warranty! 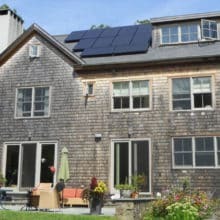 The Newport Solar staff was customer oriented and highly motivated. This included all the various staff from initial assessment to final turn-on. Local guys that really care, not commercial salesmen looking to make a quick buck. What did you do well? Literally everything. All contacts have been timely and knowledgeable. The process was painless and seamless with both Erics and with Mark on the installation, which only took a day. Everyone was a pleasure to work with. Thanks guys! I appreciated that you kept me informed throughout the entire process. The numbers were clear, as was the schedule and your team is top notch. Excellent service. Each individual fulfills his role well and all communicate effectively. This is a very professional organization with a sound product and installation team. Communication especially from the sales team. Their knowledge sealed the deal for me! Gives all the information needed in order for the homeowner to be able to make a decision about what the benefits are. Everyone at Newport Solar, from the consultants to the installers to the electrician that made the final connection took the time to explain clearly what the plan was and how things were going. Very impressed! 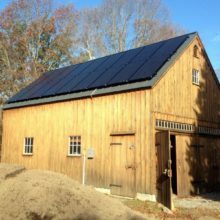 I used to be a contractor, and am a homeowner, and I can tell you with absolute conviction that I have never worked with a company that takes as good care of it’s customers as Newport Solar has with us from day one. All aspects of the project were handled very well, especially the help provided when severe weather delayed the final steps. Your people were extremely supportive and efficient on getting us in under the wire. The cost of our system will be more than offset by our reduced electric bills, and we are thrilled to play our part in reducing carbon footprints. I would recommend Newport Solar without hesitation to anyone. Staying in touch so your customer knows when you’ll be there and what to expect. Stayed in close contact and let us know all along on the steps and decision points in this successful project and its progress. Much appreciated! The proposal is very simple. Sales pressure is very low. I felt like Newport Solar cared about the value to the customer. It was a very pleasant, normal experience. 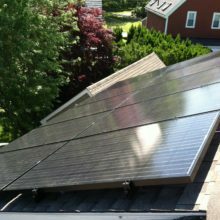 I used to be a contractor, and am a homeowner, and I can tell you with absolute conviction that I have never worked with a company that takes as good care of its customers as Newport Solar has with us from day one. I was impressed by the authenticity and friendliness of both your sales/info team and the guys who came and did the install. Just felt like I was dealing with my neighbors. The install job was also no muss no fuss.